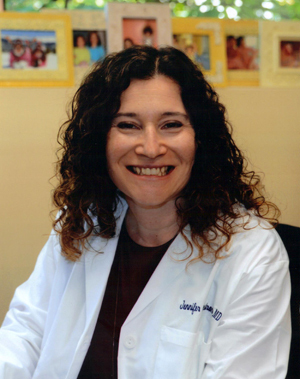 Dr. Jennifer Armstrong grew up in Wynnewood, PA. She graduated from the Lower Merion High School, prior to attending the University of Pennsylvania, where she graduated with honors in Sociology, with a minor in Spanish. She also attended the University of Pennsylvania for medical school, and completed her Internship and Residency in Internal Medicine at the Hospital of the University of Pennsylvania. She completed her fellowship in Medical Oncology and Hematology at the Memorial Sloan Kettering Cancer Center in New York, where she won the Brian Piccolo Award for study in breast cancer. Her research there focused on novel vaccines to cure cancer. She returned to the Philadelphia area to practice general hematology and oncology, where she has retained a special interest in breast cancer. She joined Paoli Hematology Oncology Associates in 2004, and is also on medical staff at the Paoli Hospital. She has been honored with “Top Doctor Award” by her colleagues many times since. She lives in Wayne, with her husband and two daughters. (Her parents are two blocks away.) She enjoys skiing, running, spinning, cooking, travelling, photography, and relishes time spent with her family and friends. Dr. Armstrong seeks to make every patient feel taken care of, listened to, and prioritized. She works hard for her patients and considers it an honor to do so.